The curriculum includes general biological and social sciences courses and specialized dietetics courses, such as basic and applied human nutrition, food and food systems management, and professional dietetic practice. In contrast to other nutrition-related majors offered by the faculty, the Dietetics Major has specific applicant selection procedures geared to the needs of the dietetics profession and includes courses and practicum placements to assist students to develop skills for professional dietetic practice. Years 1 & 2 involve pre-program foundational courses, including biology, chemistry, and general nutrition. This coursework may be completed at UBC, or at other universities or colleges. Years 3 & 4 involve a range of courses that provide foundational knowledge to prepare students for nutrition care, population and public health, and management roles in dietetics. Year 5 is the dietetic practice education year. Students apply their academic knowledge in a variety of practice settings, including hospitals, long term care facilities, and community organizations. See Course Requirements for a more comprehensive list of the program courses. The practice education year consists of 3 courses, involving 39 weeks of full time experience in varied practice settings. Under the supervision of RD preceptors, students develop confidence and proficiency in performing professional duties and responsibilities. The UBC dietetic practice education year is nationally accredited, so has been designed to prepare students to achieve the entry to practice requirements of the Integrated Competencies for Dietetic Education and Practice. Practice education includes several modules: orientation (1 week), research (2 weeks and weekly project time), nutrition care (22 weeks), population and public health (4 weeks), management (8 weeks), and elective (2 weeks). Longer modules may be divided into multiple placements in different settings. No two students have an identical practice education year but all have multiple opportunities to experience different facets of practice. Although student site preferences are considered, they cannot be guaranteed. As a result, all students must be willing to relocate for some or all of the practice education year. Dietetics is a regulated health profession. Therefore, dietitians must register with a provincial regulatory body to practice. Dietetics regulatory bodies serve to protect the public, by ensuring that Registered Dietitians have required competencies to practice in a safe and ethical manner. Once students have completed academic and practical training requirements for dietetics, they are eligible to apply for temporary registration in order to practice. To become full registrants, they must pass the Canadian Dietetic Registration Examination (CDRE). The CDRE is a national examination that is administered by the Alliance of Canadian Dietetic Regulatory bodies. The CDRE is a multiple choice exam designed to test practice-based knowledge, application, and critical thinking skills required to competently and safely practice dietetics. 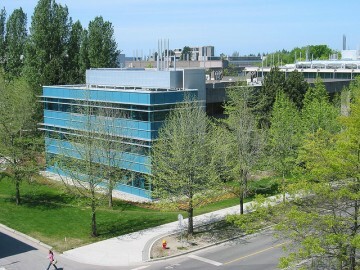 Students who graduate from accredited dietetics programs such as UBC’s program have a high success rate with the exam.